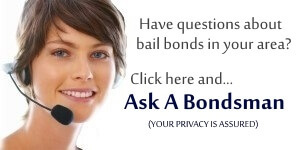 Continuing education for bail bondsmen in Arkansas is extremely important. The State of Arkansas Bail Bond Licensing Board has created a rule for the bondsman education program to assist in collecting information of the bail bondsman’s continuing education in the field and have addressed the need for all county bail agents to be properly educated on new laws & rules within the state. Bondsmen must take all education classes as prescribed in order to keep their license. It states that any bail bonds agent who does not take the continuing education course may not have their bail license reinstated. The purpose of this Rule and Regulation (“rule”) is to set specific requirements to be followed by the Arkansas State Board of Private Career Education (SBPCE) in the administration of the beginning and continuing education program, pursuant to Act 909 of 1997, codified as Ark. Code Ann. ∋17-19-107, and ∋17-19-402. This rule is issued pursuant to the authority vested in the Board under Ark. Code Ann. Section 17-19-108 and all other applicable provisions of Arkansas law. This rule shall be effective January 1, 2002 and shall be applicable to the Arkansas State Board of Private Career Education in the administration of the beginning and continuing education program. D. Beginning Education: Course covering Arkansas Code and Regulations related to the bail bond industry and taken prior to licensing. E. Continuing Education: post licensure education derived from participation in courses in bail bond related subjects. G. Committee: Group of three (3) persons to review proposed course outlines. The committee shall consist of one staff member of the State Board of Private Career Education, one staff member of the Arkansas Professional Bail Bondsman Licensing Board and one person with knowledge of the bail bond business; but not a member of the Board and not associated with an organization providing education. H. Credit hour: An instructional classroom session of at least fifty (50) minutes with a SBPCE approved instructor present. I. Instructor: A person registered and approved by the SBPCE to teach bail bond related subjects. K. Proof of Completion: The certificate of attendance awarded by the SBPCE approved instructor. All proposed Beginning and Continuing Education course outlines must be submitted to SBPCE for review and recommendation to APBBLB. No course shall be certified until approved by the Board. A. Properly completed course outlines will be submitted to the SBPCE for consideration by the APBBLB. B. The committee will review the proposed course outlines and will rate them for approval prior to presentation to the Board. Final approval of course outlines shall be the responsibility of the Board. C. Subsequent to final approval of course outlines by the Arkansas Professional Bail Bondsman Licensing Board, SBPCE will issue providers a beginning and/or continuing education number. A. When the SBPCE submits proposed course outlines to the Board, it shall also submit requests from applicants for approval of fees applicable to said classes. B. Such schedule of fees shall be subject to the approval of the Board. A. At the completion of each class, an attendance list shall be provided to the APBBLB within two weeks of course completion. C. No bail bond company shall be allowed to offer qualifying beginning or continuing education. All approved classes must be offered at a neutral location. Classes conducted on the premises of any bail bond company will not be approved. D. Applicants for an initial bail bondsman license will not be licensed prior to completion of the eight (8) hour beginning education class. E. Bondsmen who fail to complete the required continuing education program will not be re-licensed for the upcoming year. Those bondsmen desiring to have their licenses reinstated must attend a continuing education class offered in the licensing year before a license will be issued. A second continuing education class must be attended in order for the bondsman to obtain a license for the following year. F. Education providers must notify the Board office, in writing, of the date, time and location of beginning or continuing education classes two (2) weeks prior to the class being offered. Any section or provision of this rule held by the court to be invalid or unconstitutional will not affect the validity of any other section or provision.